Link Global Management can provide a full range of payroll services in Romania. The individual will be engaged on our payroll and income is paid in the form of salary, allowances and expenses, the proportion of each part depending on individual circumstances. Link Global Management will discuss your personal circumstances with you and help you to minimise your tax and social security liabilities, within the boundaries of Romanian legislation. Income is managed tax efficiently, not just in Romania but also in any other country where there may be a liability. A tax return is filed each year in Romania with advice and assistance from Link Global Management who will also provide help with filing tax returns elsewhere, if required. Individuals in Romania who are also resident in a country that has entered into a double tax treaty with Romania may benefit from a reduced tax rate or a tax exemption under the terms of the relevant treaty. If a foreign individual spends less than 183 days in Romania and if the salary costs for the individual are not recharged to Romania, he or she may be exempt from Romanian tax liabilities, provided that a tax residency certificate is available and the tax exemption procedure is completed within 15 days of the beginning of activities. 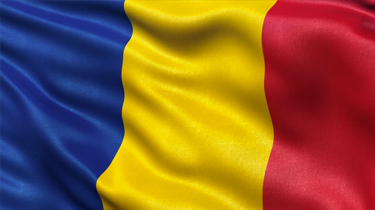 Individuals in Romania who are tax residents in countries that have not entered into a double tax treaty with Romania are subject to tax in Romania from their first day of presence in the country if the relevant conditions are met. A flat tax rate of 16% applies to salary income, income from freelance activities, rental income, pension income, investments, prizes, investment income, agricultural, forestries and fisheries income, and other types of income. Special tax rates apply to income from gambling and transfer of property ownership. The taxation of various types of income is summarized below.